Coming to a real understanding of the actual meaning in God’s word is no simple matter. Don’t just think that if you can interpret the literal meaning of God’s words, and if everyone says it’s good and gives you a thumbs-up, it counts as understanding God’s word. That is not the same as understanding God’s word. 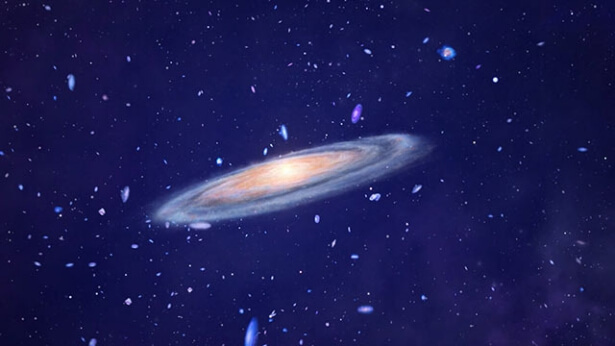 If you have gained some light from within God’s word and you have gotten a sense of the true significance of God’s word, if you can express what God’s will is in those words and what they will ultimately achieve, once this is all clear that counts as having some level of understanding of God’s word. So, understanding God’s word is not quite so simple. Just because you can give a flowery explanation of the letter of God’s word does not mean you understand it. No matter how much you can explain the letter of God’s word it is still man’s imagination and way of thinking—it’s useless! 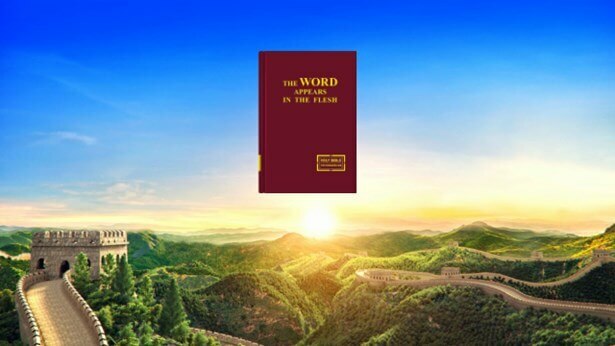 You think that mastering knowledge of the truth is particularly important, and that learning passages of God’s words by heart, speaking about doctrines and discovering formulas within God’s words are all very important, but how people understand the word of God is not important at all. Therefore, you always want to systematize these things so that everyone is singing from the same hymn sheet, saying the same things, and talking about the same doctrines, so they have the same knowledge and keep the same rules—this is your objective. Your doing this appears to be for the sake of people gaining understanding, when on the contrary you have no idea that this is bringing people into the midst of rules that are outside of the truth of God’s words. To allow people to have a real understanding of the truth, you must link it up with reality and with the work, and solve practical problems according to the truth of God’s words. Only in this way can people understand the truth and enter into reality, and only achieving such a result is really bringing people before God. If all you talk about are spiritual theories, doctrines, and rules, if you only put effort into the literal words, all you can achieve is getting people to say the same things and follow rules, but you won’t be able to guide people to understand the truth. You’ll be particularly unable to have people better understand themselves, and achieve repentance and transformation. … Truly understanding God’s word occurs when you practice the truth, and you must understand that “only by practicing the truth can it ever be understood.” Today, after reading the word of God, you can merely say that you know God’s word, but you can’t say that you understand it. Some say that the only way to practice the truth is to understand it first, but this is only half right and not entirely accurate. Before you have knowledge of a truth, you have not experienced that truth. Feeling that you understand something you hear in a sermon is not truly understanding, but is just having the literal words of the truth, and isn’t the same as understanding the true meaning therein. Just because you have a skin-deep knowledge of the truth doesn’t mean you actually understand it or recognize it; the true meaning of the truth comes from having experienced it. Therefore, only when you experience the truth can you understand it, and only when you experience the truth can you grasp the hidden parts of it. To experience it in depth is the only way to grasp the connotations of the truth, to understand the essence of it. Whether the knowledge that you are talking accords with the truth largely depends on whether you have practical experience. Where there is the truth in your experience, your knowledge will be practical and valuable. Through your experience, you can also gain discernment and insight, deepen your knowledge, and increase your wisdom and common sense in conducting yourself. The knowledge spoken by people who do not possess the truth is doctrine, no matter how high. This type of person may well be very intelligent when it comes to matters of the flesh but cannot make distinctions when it comes to spiritual matters. This is because such people have no experience at all in spiritual affairs. These are people who are not enlightened in spiritual affairs and do not understand the spirit. Regardless of which aspect of knowledge you talk about, as long as it is your being, then it is your personal experience, your real knowledge. What those who speak only doctrine, that is, those who do not possess the truth or reality, talk about can also be said to be their being, because their doctrine is only arrived at from deep contemplation and is the result of their mind pondering deeply, but it is only doctrine, it is nothing more than imagination! You cannot obtain the truth just by spouting doctrines; if you only fellowship on these literal things, what use is it? You must grasp the meaning of God’s word, figure out its root and the outcomes it intends to achieve. God’s word contains truth, meaning, and light. There are many things contained within His word; you can’t just explain its literal meaning. I’ll give an example. God says, “You must be honest people; do not be deceivers.” What do these words actually mean? Someone may say, “Isn’t it just telling people to be honest and not be deceitful?” If somebody else asks, “What else does it mean?” that person will continue, “It’s just being an honest person, not a deceitful one. It’s just those two things.” “What really is being an honest person? What kind of person is an honest person? What are the manifestations of an honest person, and what are the manifestations of a deceitful person?” “A deceitful person is someone who equivocates. Someone who does not equivocate and who speaks the undiluted truth is an honest person.” No matter how much you inquire, you will only get this much out of him; man’s thinking is too simplistic. What does God’s word say about honest people? First, an honest person is not suspicious of others. Second, an honest person can accept the truth. He mainly meets these two conditions. What does God mean by this? Why does God say this? You should understand the intrinsic meaning of an honest person in God’s word, what exactly it is talking about—get an accurate understanding of this definition. What other behaviors an honest person exhibits within God’s words, what a deceitful person is, and what kind of behaviors a deceitful person exhibits—if you weigh all of this based on the manifestations God has spoken of, you will understand what an honest person is and what a deceitful person is, as well as how deceitful people treat God’s word, God, and other people. This way you will come to a true understanding of God’s word and know how great the difference is between who people believe to be honest or deceitful people, and what is said about that in God’s word. You see in God’s word, “You must be honest people; do not be deceivers.” There are a lot more details to this. When you truly understand the meaning of God’s word, then you know what an honest person is, and what a deceitful person is. When you put it into practice, you will know what to do that is definitely the behavior of an honest person, and then you will have the path to practice, ensuring you can meet God’s standards. If you really understand these words and put them into practice, then you can obtain God’s approval. If you do not understand these words, then you cannot become an honest person, and you will absolutely not obtain God’s approval. Why is it said that God’s words are a beacon for man? It is because God’s words are not spoken in vain, they are not some kind of theory and they are not some kind of argument. They are there for you to implement, to put into practice. When you encounter issues and have no idea what to do, when you lack a path for practice, you think of the requirements within God’s words. You mull over God’s words, and you will know the way forward and understand the meaning of God’s words. Then, you can practice in accordance with God’s will. By practicing in this way, you gain confirmation of your approach, and you discover that you possess peace and enjoyment within your spirit after this way of practicing; this is edifying for others as well. During the process of practicing God’s words, you gain some enlightenment as well as some experience and learning; you are awakened to some things. You are awakened to what God means by saying these words and getting people to do things in a certain way. You locate the relevant principles of practice, and you come to know the origin and significance of God uttering these words—this is understanding the truth. Once you have understood the truth, you will no longer be confused or find it difficult in your actions—you will have a path to practice. What does having a path to practice God’s words refer to? It means you comprehend God’s words and you understand the principles of practice behind God’s words; you understand what states God refers to, and you know how you should practice. God’s words may look simple to you, but in fact they are telling you how you should live, what you should do when you encounter an issue, and how you should resolve the difficulties that you encounter. They can become your way and allow you to approach issues with wisdom, principles and with a path to practice. They are the truth. If you have a path to follow in performing any duty or in every matter, if you have principles in handling things and you know what God’s will is, then this shows that you understand the truth, and you understand God’s words. Anything that is not from your own experience, whether you learned it from books or from other people’s experience, becomes a doctrine for you. When you experience it, and you reach a result from your experience, then you will obtain a true understanding, and the words you say when you give fellowship will be real; only then does it become true reality. Look at how unbelievers research some theory: They only research from what is written, they research doctrines and weigh them up and then arrive at their conclusions. Especially theologians and pastors, as well as scholars and researchers of theology, after reading a passage of God’s words, they do not seek the truth or seek a true understanding of God from practical experience. Instead, they investigate and weigh up various theories and ultimately arrive at some conclusions. So, are the conclusions which they reach real or doctrinal? They are all doctrinal. This is because they reached these conclusions based on specialized textual research and deliberation, and not based on their own experience. Conclusions reached from literal textual research and from researching the things recorded in the Bible, have created one kind of theory, called theological theory. There is no understanding from experience in this, and there is no enlightenment of the Holy Spirit. The deeper understanding from the enlightenment of the Holy Spirit surpasses that which comes from the superficial meanings of words; it cannot be expressed by any superficial language. The Holy Spirit will enlighten and illuminate you only when you seek the truth after you have entered into the experience. The things that the Holy Spirit enlightens and illuminates for you are the things that are the most real and the things which are the most true for you, and these are the things that you cannot get from the Bible no matter how hard you study it. So today, God asks us to experience the word of God. If, in our experience of the word of God, the Holy Spirit enlightens us, we can then attain a real understanding of God’s words. This real understanding cannot be attained no matter how hard you study the literal meaning of the words of God; this is something that cannot be reached by human thought, and something that you cannot imagine, no matter how hard you try. So, only the truth received from the guidance, enlightenment and illumination of the Holy Spirit is the real understanding of God. What really is the difference between words of doctrine and the truth? The truth is the substantive things of God’s word; it represents God’s will. Words of doctrine belong to the category of superficial things, and represent human notions and imaginings. They are not consistent with the truth. Substantive things of the truth are exceptionally practical; they are principled and especially convincing. Once a person understands something substantive, his heart is brightened and attains release—he is no longer subject to the strictures of regulations. On the other hand, words of doctrine are empty and unrealistic. They are nothing but regulations and conventions, and make people particularly susceptible to being constrained and not feeling free. Furthermore, no matter how many words of doctrine someone knows, they cannot bring about a change in his life disposition. They have little fundamental benefit for people. Therefore, words of doctrine simply cannot compare with the truth. The truth can become a person’s life. Once someone accepts the truth it will bring about a change of life disposition. Understanding a great deal of doctrines can only bring a person arrogance, self-importance, pride, and make him lacking in sense. Only when a person has truth as his very life does his practice become real. No matter how many words of doctrine a person understands, he will not possess reality. When he encounters an issue he still won’t know what to practice. All those who are perfected by God are people who possess the truth, while all those who have not undergone perfection by God are people of the words of doctrine. Those who possess the truth are fit for use by God. Their work bears fruit, and they are truly capable of bringing others into God’s presence. Those who focus on words of doctrine do not derive true results from their work. They cannot provide people with the sustenance of authentic experience and understanding, and even less can they use the truth to resolve issues. This is why they are unable to bring others into God’s presence. A person who possesses the truth does not shy away from people seeking out the truth, and he is able to solve all of the practical problems that people have in their faith. Those who emphasize words of doctrine fear people seeking out the truth because they lack real things within themselves, and the doctrines they speak of can’t solve actual problems. Thus, they don’t dare to call on others to raise questions, and of course are even less able to solve practical difficulties. Those who possess the truth dare to face reality; those who focus on words of doctrine do not dare to face reality, rather, they evade it. Such are the principles for discernment between truth and words of doctrine. Previous：What is meant by “leave everything behind and follow God”?